Do you own a Honda CR-V? Does the passenger cabin smell of gasoline? If so, the attorneys at Stoltmann Law Offices are interested in speaking with you about your options of suing Honda. The Stoltmann Law Offices Commercial Litigation Group intends to file a class action alleging Honda violated federal and California law by not honoring the customers’ requests to fix the gas odor problem under the terms of the warranty they received with the sports utility vehicle when they purchased it. Many Honda owners have complained of what smells like an open pool of gasoline inside the passenger cabin and Honda has not offered a solution. The noxious odor generally persists no matter the speed the vehicle is driven or duration of driving. The gas odor is intermittent but persistent. 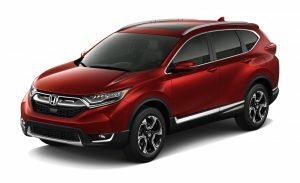 Despite being aware of the problem, Honda continues to sell the CR-V and refuses to offer refunds or fix the problem. Please call our law firm based in Chicago at 312-332-4200 today for a free consultation with one of our attorneys to discuss your options of suing Honda for selling and refusing to repair or replace a defective vehicle. There is no obligation and we take cases on a contingency fee basis, so we don’t get paid unless you receive money.